After Instagram’s algorithm revision in March 2016, Instagram feeds went from showing posts in chronological order to to delivering content in the order Instagram calculated would be most engaging to the individual user. Instagram took into account the number of likes, comments, likes on comments, post saves, direct message replies, and posts to someone else by direct messaging. But all the changes aside, the algorithm still gives weight to time of posting, frequency of engagement, and direct searches. And despite pushback from users about the new algorithm, Instagram saw its user base increase 50 percent within 10 months. Even if Instagram’s users prefer the way posts were presented before, the company is continuing to grow and there’s no going back. Feedback from marketers has been mixed about the effects of the new algorithm. Posts have longer lifespans, staying around for several hours or days (up from an average of 72 minutes). Instagram engagement rates, however, have dropped for many, going from three to five percent down to one or two percent. The decline has been attributed to more advertising, more users, and growing use of Instagram Stories. Marketers face increased pressure to develop engaging posts that will keep their brands in front of current and potential customers. 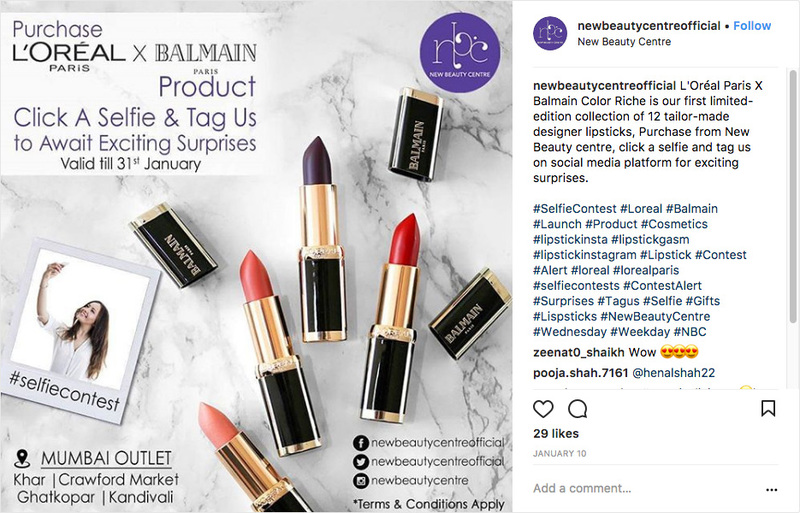 Although few Instagram accounts currently offer contests, the tactic has proven to build quality engagement, delivering more than just likes. If you’re looking for a way to gather quality followers and make the new algorithm work in your favor, try a contest. Here are seven reasons that contests can help you beat the Instagram Algorithm. Most Instagram contests require entrants to follow the brand or the company hosting the contest. One industry study showed Instagram accounts hosting contests saw followers grow by more than 70 percent compared to other accounts. 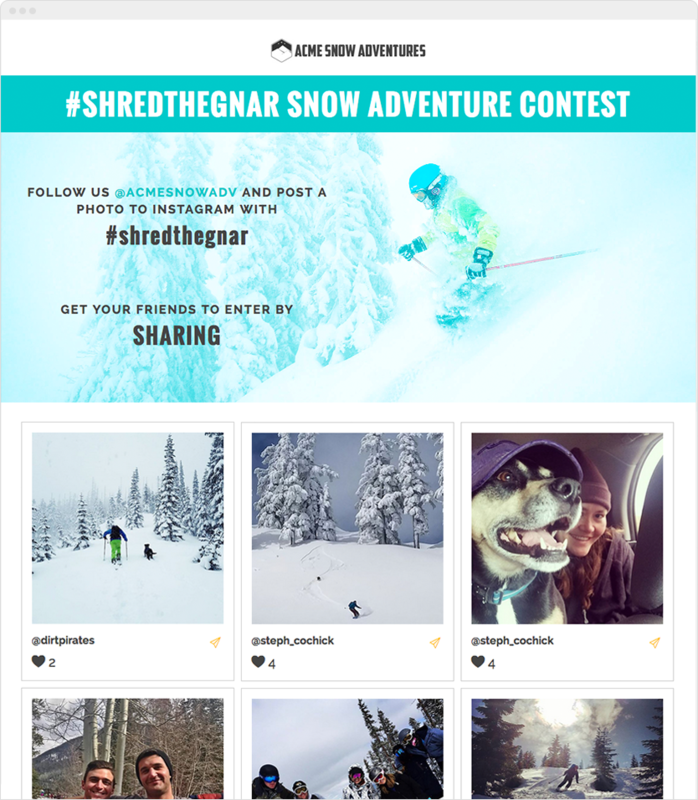 You can structure your Instagram contest to require participants to comment on a photo or an image. A call to action (CTA), like asking for a comment, is an effective way to build engagement. In addition to asking for comments in your contest, you can also encourage entrants to repost your contest photo or image, giving you control of your message and image while still increasing awareness of your brand. Many contests involve uploads of photos of contestants, either of the product or brand itself or of selfies showing engagement with the product. Photos deliver user-generated content showing how consumers connect with your brands and products. Including a custom, catchy hashtag can draw attention to your contest and link images back to your website or other social media platforms. Contest rules can ask participants to tag several friends with the @name in their entry, boosting reach of the contest beyond current followers. Worth noting, however, are Instagram’s 2017 rules for contests which prohibit random tagging, particularly in photo reposts. Tagging others is best incorporated into a contest when part of a comment. Contests, by design, encourage connection with your brands and your products. 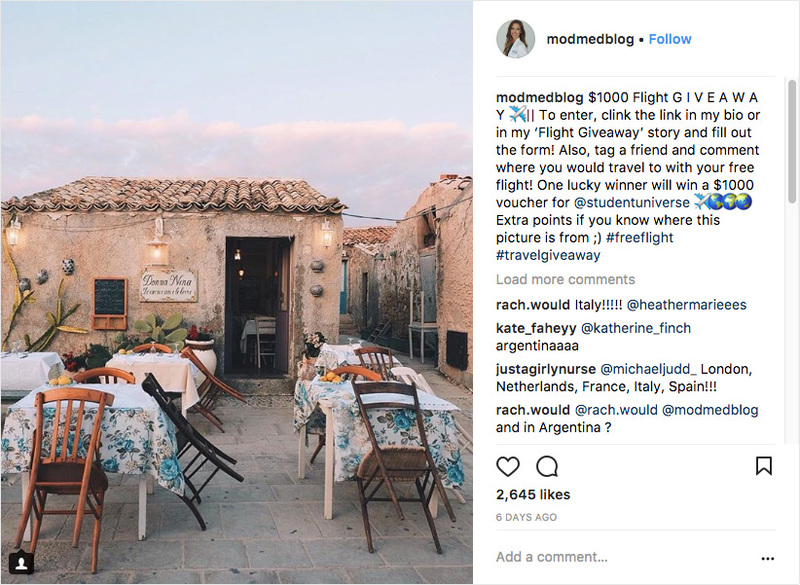 The use of common hashtags in a contest such as #Instagramcontest or even #contest will attract those searching broadly and encourage sharing but you’ll also want to include hashtags that are unique to your giveaway, like #travelgivaway. Hashtags unique to your business can improve brand awareness and build a community of followers interested in, and more loyal to, your brand. 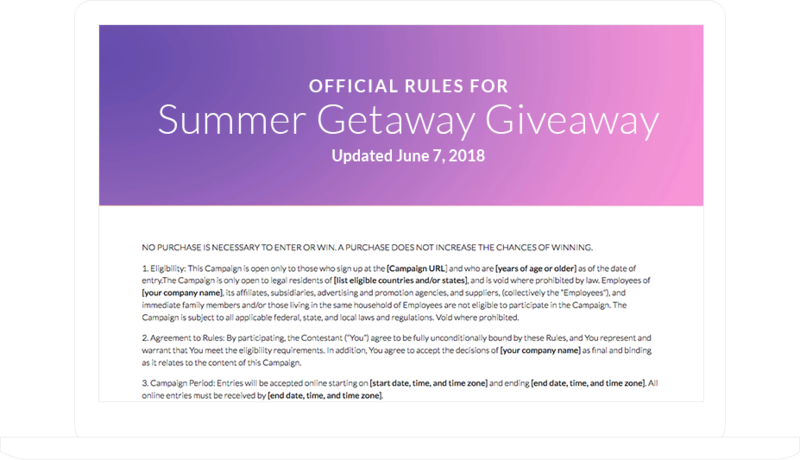 Including deadlines for your contests, and running contests with consistent frequency will prompt participants to act quickly, enhancing engagement and helping your posts remain more relevant in their Instagram feed. Having a theme for your contest helps participants understand the types of photos or videos to post. Themes can be seasonal (e.g., summer adventures), event-based (e.g., a new baby), or company-related (e.g., a new flavor). Instagram is a visual platform and your contest images need to be top-notch to break through and stand out. Avoid putting a lot of words on your image. Put contest information in the description or, better yet, direct people to a landing page where you detail all the rules about your contest. Making your contest easy to enter with straightforward rules facilitates quick participation and positive responses. The primary motivator for people to participate in your contest is your prize. To help ensure that the people who enter your contest are likely to be future customers, offer a prize that’s relevant to your business. If you’re a manufacturer of sporting goods, you could offer tickets to a big game. If you sell grilles, your prize could be grilling accessories or even a selection of meats and other BBQ food. You’ll create more favorable perceptions of your brand and your contest if you include clear guidelines, including what your “ask” is, the contest dates, rules and hashtags. If you plan to collect UGC with your contest, make sure you obtain rights to use it. 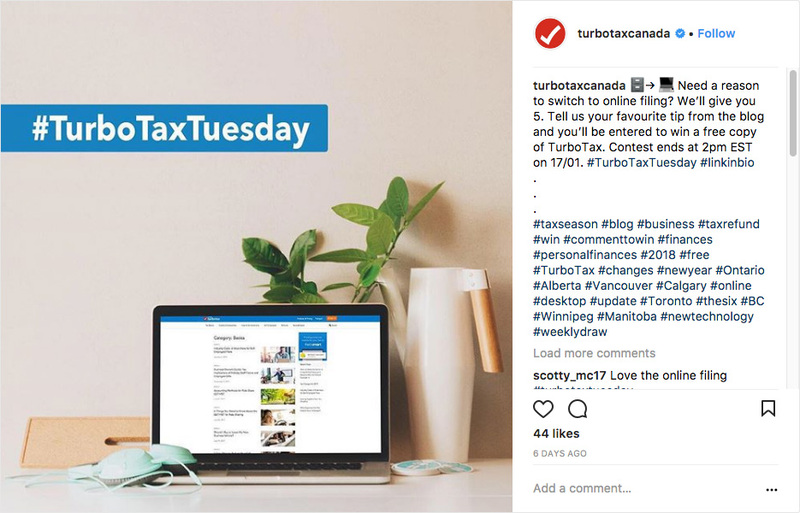 While the use of unique hashtags is key for brand building and contest memorability, having 11 or more hashtags with contests has proven to draw more interactions. Contests lasting for two weeks will generate more excitement and engagement than month-long contests. You’ll broaden your reach using Facebook, Twitter, or even a blog post to encourage followers to look at your Instagram account and enter the contest. You don’t necessarily have to spend a lot of money on promotion, in fact, many of the promotion ideas listed here are free. Allowing users to vote on contest entries builds involvement and increases feelings of connection with your brand. To prevent the use of “Like Bots,” be specific in your voting rules and implement voting restrictions. With permission, make your winner(s) famous on Instagram, your other social media sites and your blog or website by posting winning entries. If you captured contestant emails, then send a thank you note for participating. 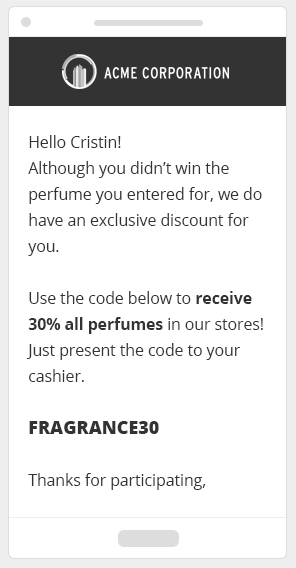 Better still, schedule a follow-up email that includes a code for a discount on your products/services or free shipping. This acknowledgment will foster favorable attitudes toward your company and your contest. Be sure to set goals for the contest and then measure results, looking at your targeted metrics like number of followers, number of likes, number of entrants, number of comments, product purchases, or website traffic. Review specific comments and questions for insights about how your contest and brand is perceived. The revised Instagram algorithm has brought challenges to companies striving to break through on the platform. But it also handed marketers opportunities to create fun, memorable and exciting contests for consumers so they can become more engaged with the brands they love. Any tips you can share about how you’re beating the Instagram algorithm?